Meet Lindsey Meyers, owner of the Beauty & Brawn Art Gallery and Think Space and Featured Business Owner at SCORE Chicago this week. Learn how she started, and what tips she has for your success. 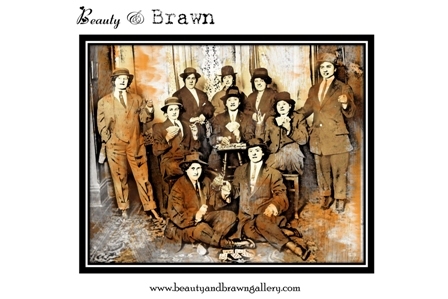 Beauty & Brawn is a cutting edge art gallery, arts education and community space and unique rental venue. I was inspired to start my business out of personal necessity- and from the desire to offer children a new perspective on art and community through my teaching, to showcase artists who are talented, yet whose work has gone unseen, and to offer the community a space to gather, discuss and exchange ideas freely and respectfully. 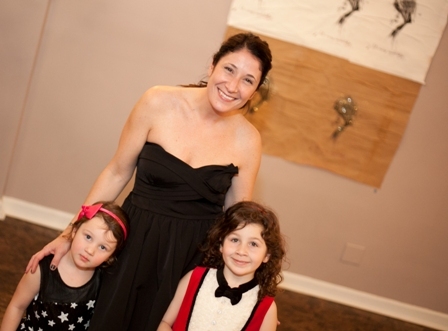 My clients range from artists and art enthusiasts and children and families, to neighborhood residents/Chicagoans looking for a unique event to attend or a rental venue for private functions, rehearsals or gatherings. I host opening receptions on behalf of new artists every 6-8 weeks, offer great and inexpensive children’s classes, weekend Kids Open Studios and parties, provide reasonable rental rates for clients and allow patrons to feel part of a creative community. My biggest business challenges thus far have been raising additional operating capital and funding to increase PR and visibility, and to obtain outdoor signage. David Kirshner has been a terrific mentor and fan of Beauty & Brawn. I am grateful for his knowledge, expertise, overall support and generosity. I sincerely appreciate his recommending me to be a Featured Business Owner. My advice to other entrepreneurs would be to always stay true to your vision and maintain your passion. Be open, listen, stay focused and be prepared for incredulously difficult work and wonderful surprises.